Hong Kong Bucket List: Top 16 Things You Must Do! This is a view you must see at least once in your life. It is beautiful at night with the towering building across the water glistening with bright lights that fill the night sky. There will be a lot of people and tourists here so one recommendation is to walk further down to the left hand side which will take you to the end with less people and a place where you can sit on the railing. Go with a friend and have some life talks with this view before your eyes! 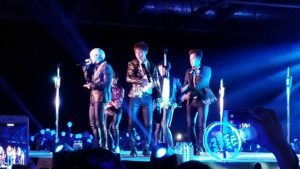 AsiaWorld-Expo is event venue that holds concerts in Hong Kong from artists from Ed Sheeran to One Republic and to Kpop artists like G-Dragon or Highlight aka Beast which I experienced during my time in Hong Kong! 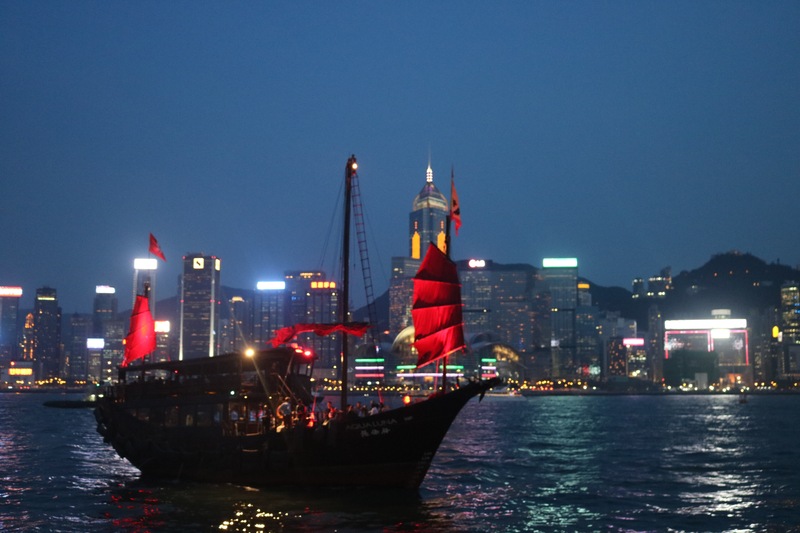 Be surrounded by local residents in Hong Kong and international travellers that come together to see their favourite artists in one location. 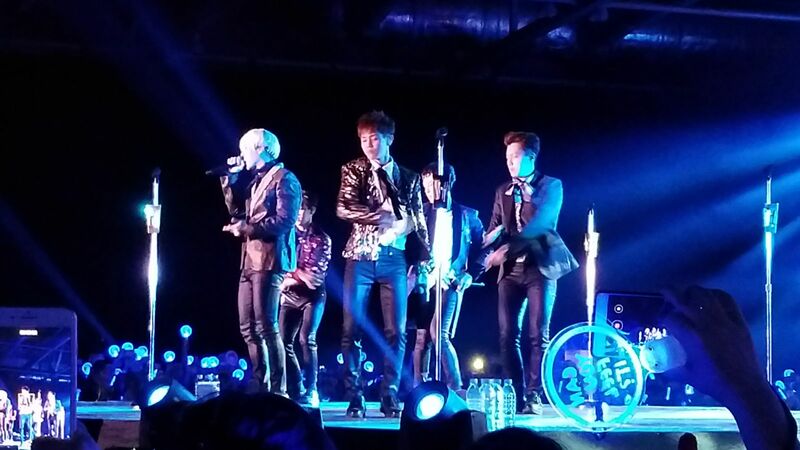 There is a whole new experience to seeing a concert in a new country. Definitely worth experiencing especially one as big as in Hong Kong! Visit AsiaWorld-Expo’s website to see which live performances are happening next, thanks for letting me relive my Kpop days!! 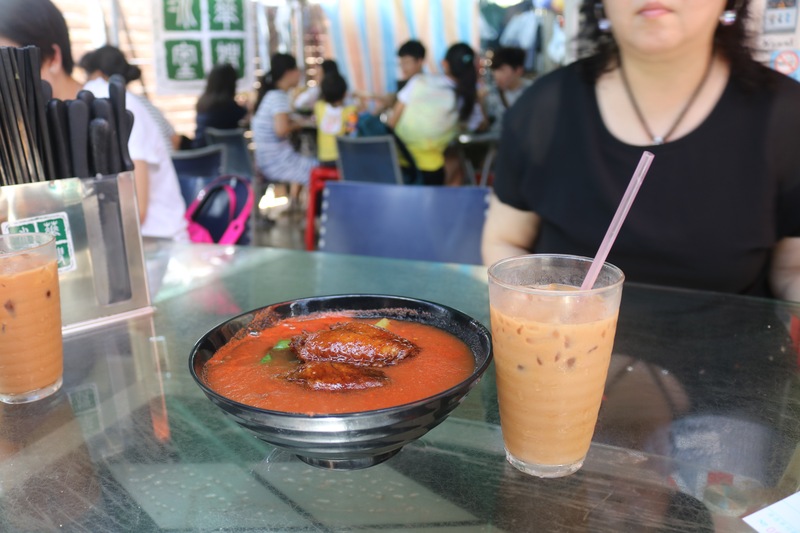 Take a couple hours during your day to visit Tin Shui Wai. You probably haven’t heard or seen this place quite often on the internet as a recommended spot because it is a location where tourists do not go to (which makes it all the more better in my opinion lol!) 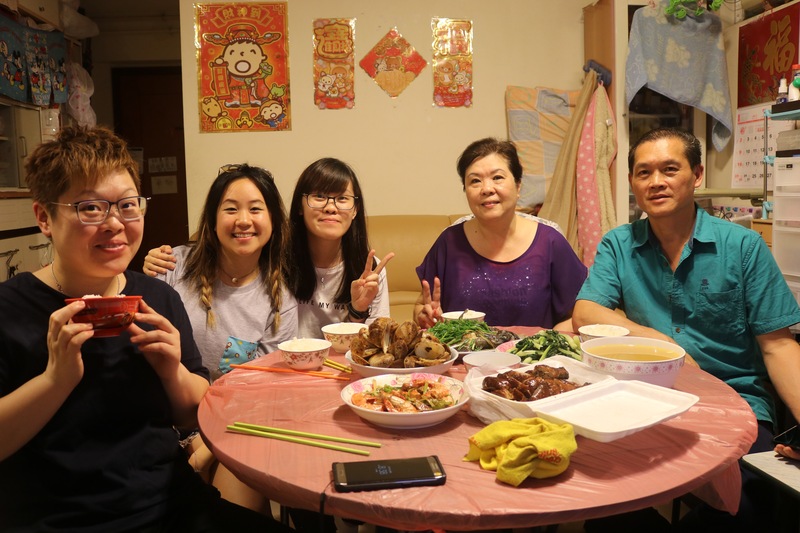 I have family that live here because it is an residential area filled with Hong Kong people so I got to live in this area for 5 nights and really loved this district more then the iconic places like central Hong Kong. If you’re the type of traveler that enjoys seeing how the locals live, this is the place you must visit. I could probably spend about 10 days straight in Mong Kok and probably feel like I haven’t seen all of it yet. It’s such a lively place, crowded yeah, but there is something about the bright sign lights in the airy night sky, the liveliness of the streets filled with people like its rush hour at 12am, the never ending stalls of food stalls holding the hardest decision you’ll ever make – deciding WHERE to eat, has specific streets dedicated to certain things like a street full of pets (literally a street full of fishes and pet food for sale lol), has the one and only Lu Yan Gai, and it’s a less then 5 minute ride away from Tsui Sam Gu and Central Hong Kong. 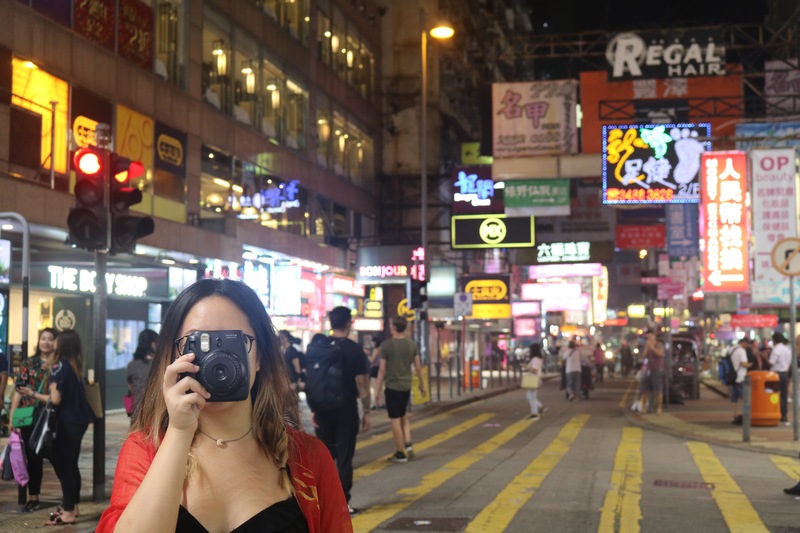 You simply must see Hong Kong at night in Mong Kok, it is beautiful. 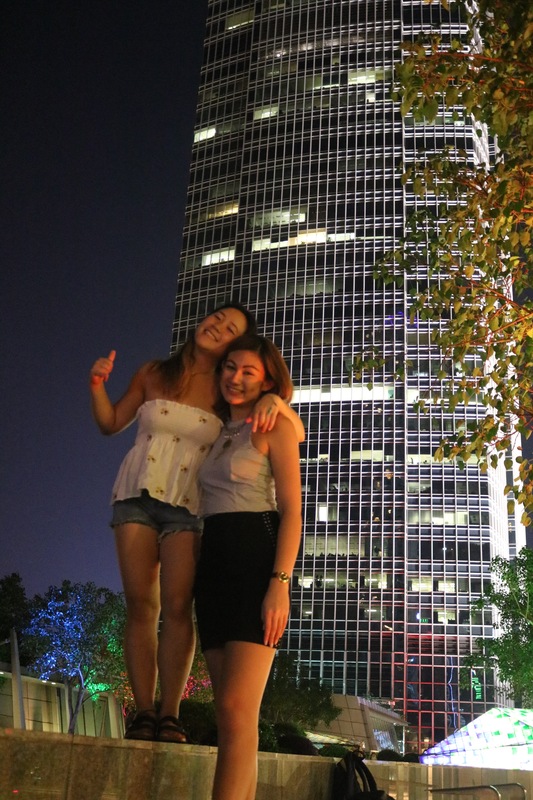 Explore and stay till the sun goes down to see the signs light up and street performers if it’s during the weekend while eating night food “Sui Yeah” and enjoy the vibe from a city you can’t find anywhere else. Hong Kong is shopping heaven. You can find the most stylish and trendy clothes for half the price, their fashion game is seriously just on point. I would recommend to pack your bags light before traveling to Hong Kong because you’ll 100% leave with your luggage a bit fuller. Ex. 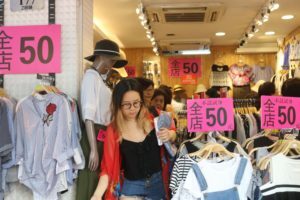 Beautiful Clothes for as cheap as $30 Hong Kong dollars!!! Order their speciality drink of half black tea and half cream. 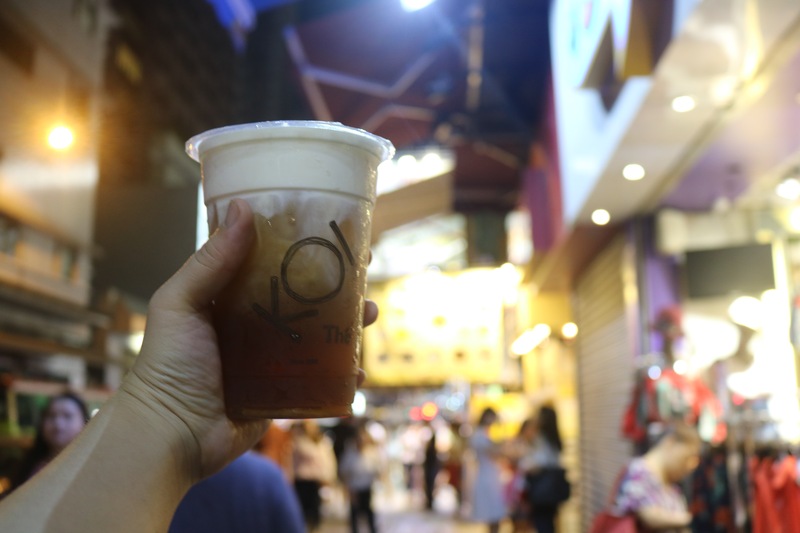 One of my favourite drinks in Hong Kong. 9. 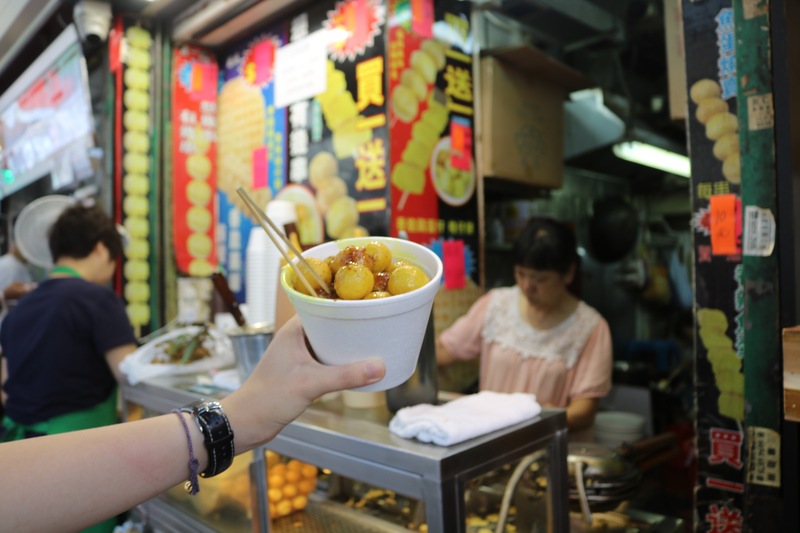 Street Food Adventures: Fishballs, Octopus, and more! Eat loads and loads of street food in Hong Kong – you have to because it’s Hong Kong!! 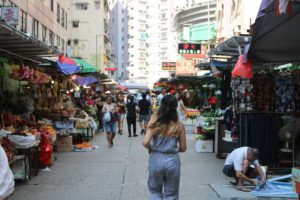 Everything is super cheap (as low as $3 Hong Kong) with so many options to choose from. 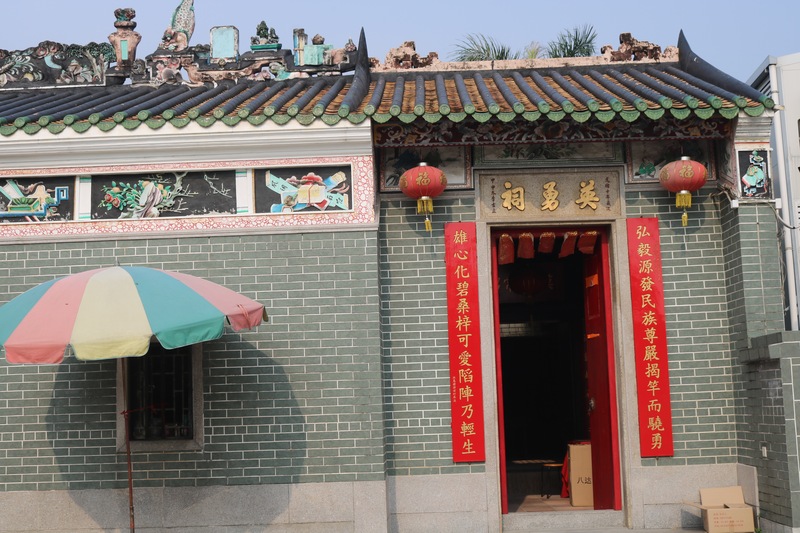 Learn about the Chinese Culture, heritage, and beliefs by visiting a temple. There are multiple of gods that have specific traditional beliefs from the people such as a god for study, a god for money, a god that looks after the ones that have passed away, and more. They also do fortune telling “Kau Cim” where you have sticks that have different words and meanings written on it all placed in a cup which you shake until one stick comes out that holds your future. 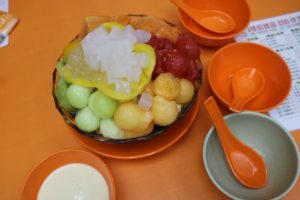 This restaurant is a local gem that not much people know about. 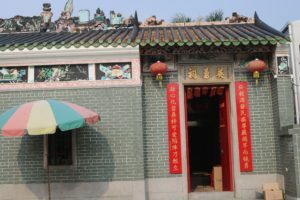 It is located pretty much in the middle of no where and started off as a rural restaurant that completely blew up in popular with even famous celebrities praising the restaurant. 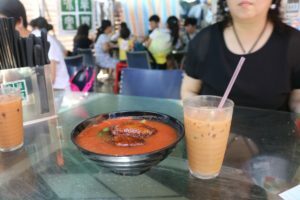 Here you can buy their famous noodles and soup, Hong kong style coffee (coffee mixed with milk tea), and what I call asian burgers. Another local gem that you must visit with a group of friends is called B in Kowloon. 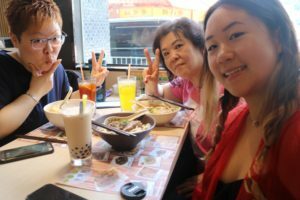 Reasoning why you must visit with a big group? 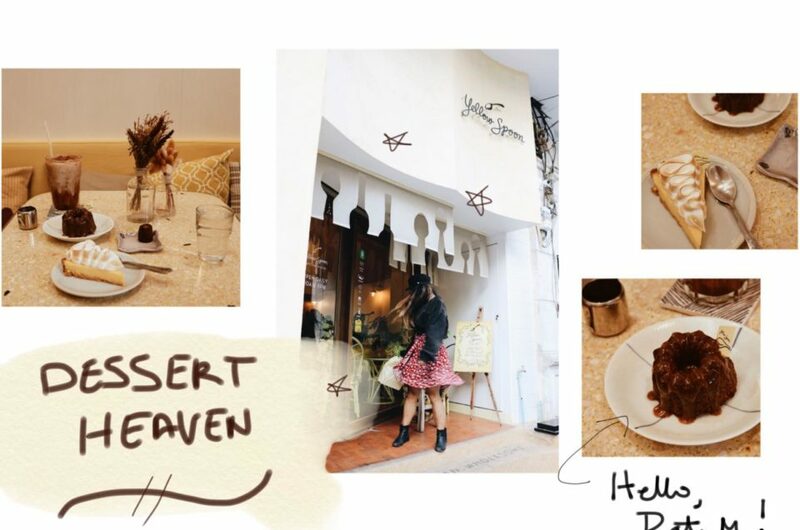 Because their famous dessert and spicy chicken wings is served in large portions that you must share the experience of eating all together with friends and family. The dessert consists of lots and lots of fruit on top, black jelly, and a sweet soup. 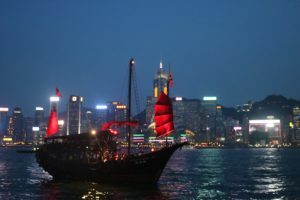 You probably heard of how crazy the nightlife in Hong Kong is especially in LGF. I didn’t get the chance to go and party in Hong Kong but I did have a chill night drinking on top of a roof top with some friends in Central Hong Kong on top of a building right next to Hong Kong’s tallest building. Would totally recommend this for a chill night to enjoy the view and if you wanted there are also bars all around to head out to if you wanted to experience the night life. Every snack in Hong Kong that you see in grocery stores or in the local 7 eleven is the coolest looking snack packaging you’ll ever see with the most bizarre flavors. Ex. Birthday Cake Pocky. 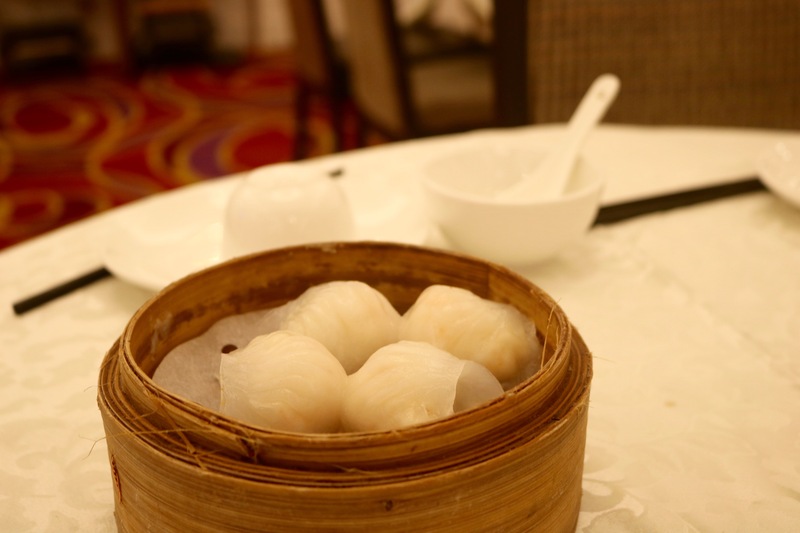 It would be a complete waste of Dim Sum if you go to Hong Kong without trying this. The Dim Sum in Hong Kong is AMAZING, no surprise. Ask the locals around on which Dim Sum place they would eat at because not all the Dim Sum restaurants are the same. They categorize Dim Sum into three levels: A cheap low end Dim Sum restaurant (still good compared to the ones I’ve eaten in Hong Kong, middle class Dim Sum restaurants, and high class Dim Sum restaurants. Try it all if you get the chance and don’t forget to wash your utensils with Hot Tea!